The regaining of Poland’s independence was a long process in which all generations of Poles were involved, having lived under Russia, Prussia and Austria for 123 years. On this website we present the biographies of politicians who contributed to the regaining of independence by Poland in 1918. The most known “Fathers of Independence” were: Józef Pilsudski, Roman Dmowski, Ignacy Jan Paderewski, Wojciech Korfanty, Wincenty Witos and Ignacy Daszyński, Joseph Haller. Regaining independence in 1918 was the result of the efforts of several generations of Poles and the work of many political circles. Józef Piłsudski, the founder of the legions and the first head of state, is regarded as the true father of the Second Polish Republic. Pilsudski was born into a landowning family, in which the independence traditions were cultivated. He became involved in political activities even while he was studying in Kharkov, from where he was expelled for participating in student protests in 1885. Two years later Pilsudski was arrested on charges of involvement in a plot to overthrow Tsar Alexander III and was deported to Siberia for five years. Shortly after his return from exile, Piłsudski joined the Polish Socialist Party. As one of the party's leaders, he was arrested again by the Russian authorities and sent to prison in the infamous Warsaw Citadel. At the outbreak of the Great War, he established the Polish Legions and stood at their helm, leading the Legions into territory partitioned by Russia. In 1917 the Austria-Hungary leadership demanded that the members of the Legions take an oath of loyalty to the Emperor. When he refused, along with the majority of his brothers in arms, Pilsudski was arrested and imprisoned in a fortress in Magdeburg, where he was kept until November 1918. 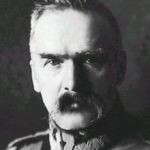 After the defeat of Germany, Pilsudski was released from prison and he came to Warsaw, where the Regency Council, the erstwhile highest state body in the territory of the former Polish Kingdom occupied by the so-called Central Powers, entrusted him with the supreme command of the Polish troops and the mission of creating a national government in the liberated state. On November 22, 1918, he received the official function of the Temporary Head of State - he held this function until December 1922, when the first president of the Republic of Poland, Gabriel Narutowicz, was elected. In the years 1919-1921, Piłsudski was involved in the defence of Poland's regained independence – as the commander-in-chief he was the architect of the victories of Polish troops in the battles for the borders of independent Poland, including the Polish-Bolshevik war. The Battle of Warsaw 1920 was one of the greatest and ground-breaking battles in history –the Polish victory halted the march of the Bolshevik revolution to the west of Europe. In 1923 he withdrew from active political life. However, in May 1926, upon disagreeing with the direction of political developments, he led troops loyal to him into Warsaw and after three days of fighting effectively forced the resignation of the regime. In the following years his functions included minister of military affairs and prime minister. In foreign policy, Pilsudski sought to maintain good relations with Western Europe. The death of Józef Piłsudski on May 12th 1935, surprised the entire nation, and his funeral became an enormous national manifestation paying homage to the father of the independent Polish state. His body was buried in the crypt on the Wawel, where kings, statesmen and the most prominent Poles are laid to rest. His heart - in accordance with the testament left by him - was placed in a silver urn and transported to Vilnius, where it is buried in his mother's grave in the Rossa Cemetery. 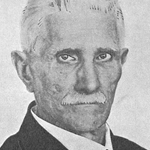 Ignacy Daszyński (born Oct. 26, 1866, Zbaraż, Galicia, [now Zbarazh, Ukraine]—died Oct. 31, 1936, Bystra, near Cieszyn, Poland), Polish socialist leader and patriot who was prominent in the restoration of the Polish Republic after World War I. In October 1892 Daszyński was one of the organizers of the Polish Social Democratic Party in Galicia. He was elected to the Austrian Reichsrat in 1897 and was a member of it until 1918. He was a remarkable parliamentary speaker and a champion of the people. From 1903 he took part in many congresses of the Socialist International, always insisting on the independence and reunification of all Polish lands as an integral part of the Polish socialist program. From 1912 he collaborated to this end with Józef Piłsudski, whom he then admired. Also in 1912 he became editor in chief of the Polish socialist daily newspaper Naprzód (“Forward”) in Kraków. 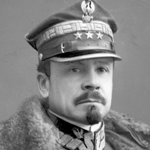 Daszyński was the head of the first provisional government of restored Poland, formed at Lublin on Nov. 7, 1918. Elected on Jan. 26, 1919, to the Sejm (Diet), he was reelected in 1922, 1928, and 1930. From July 1920 to January 1921 he was deputy premier in the government of national unity presided over by Wincenty Witos. From 1928 to 1930, as speaker of the Sejm, he firmly defended the parliament’s prerogatives against Piłsudski’s autocratic tendencies. Daszyński became ill in 1931 and retired from public life. Roman Dmowski (born Aug. 9, 1864, Kamionek [now in Warsaw, Pol. ]—died Jan. 2, 1939, Drozdowo, Pol. ), Polish statesman, a leader of Poland’s struggle for national liberation, and the foremost supporter of cooperation with Russia as a means toward achieving that goal. As a student in Warsaw, Dmowski involved himself in the movement for Polish liberation and in 1895 helped found the influential Przegląd Wszechpolski (“All-Polish Review”) at Lwów (now Lviv, Ukraine). A leader of the National Democratic Party from its foundation (1897), he opposed revolutionary methods of establishing an independent Poland and favoured an autonomist solution to national aspirations within the Russian Empire. During the Russo-Japanese War (1904–05) he actively combated the plans of Polish revolutionaries—especially Józef Piłsudski, to secure an understanding with Japan as a prelude to national insurrection. He later distinguished himself in the second and third Russian Dumas (legislative assemblies) as the chief spokesman for Polish collaboration with Russia. By 1912, however, his policy had been largely discredited, and in October of that year he failed to be elected to the fourth Duma. During the early months of World War I, Dmowski helped form a “National Committee” that sought to achieve Polish national aims through cooperation with Russia and its Western allies. From the summer of 1915, however, he looked solely to the Western powers for deliverance and discarded his autonomist program for one demanding full national sovereignty for Poland. In August 1917 he formed a National Committee at Lausanne, Switz., which later was recognized by the Allies as the official representative of Polish interests. After the war Dmowski represented the new Polish national government at the Paris Peace Conference, and in June 1919 he signed the Treaty of Versailles. He subsequently sat in the constituent Sejm (Polish national assembly) until 1922 and briefly served as foreign minister during 1923, but thereafter he largely retired from active politics. His book Niemcy, Rosya i kwestya polska (1908; “Germany, Russia, and the Polish Question”) is an exposition of his prewar views. 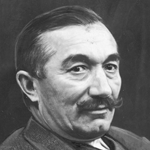 Wojciech Korfanty (born April 20, 1873, Siemianowice, Upper Silesia, Ger. [now in Poland]—died Aug. 17, 1939, Warsaw), political leader who played a major role in the national reawakening of the Poles of Upper Silesia and who led their struggle for independence from Germany. The son of a miner, Korfanty became a journalist and a member of the secret nationalist society “Z,” which resisted Germany’s attempt to Germanize Upper Silesia’s Polish population. He became Upper Silesia’s first Polish member of the Reichstag (the German parliament) in 1903, being reelected in 1907 and 1918, and served in the Prussian Diet from 1904 to 1918—to the dismay of the Prussian administration, the Catholic hierarchy, and local capitalists. 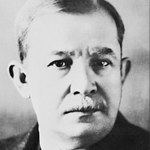 After World War I he led the Polish demand for an Upper Silesian plebiscite. Although the majority of Silesian voters decided in favor of remaining part of Germany, Korfanty’s campaign efforts resulted in a pro-Polish majority in the southeastern industrial section of Upper Silesia (March 1921). After he had led an armed rebellion (May 1921), he induced the Allies to set the German–Polish border along a line in Silesia more favorable to Poland than previously intended. In the newly restored Poland, he sat in the Constituent Assembly (1919–22) and the Parliament (1922–30) as a leader of the national bloc. Opposed to Józef Piłsudski’s dictatorial methods, he was imprisoned in 1930 but was soon released and entered the Senate. Having lived in Czechoslovakia from 1935, he returned to Poland on April 29, 1939, was arrested, and died soon after his release. Ignacy Paderewski (born Nov. 6, 1860, Kuryłówka, Podolia province in Russian Poland—died June 29, 1941, New York, N.Y., U.S.), Polish pianist, composer, and statesman, who was prime minister of Poland in 1919. Paderewski was the son of a steward of a Polish landowner. He studied music from 1872 at the Warsaw Conservatory and from 1878 taught piano there, and in 1880 he married one of his pupils, Antonina Korsak, who died in childbirth the following year. Encouraged and financed by the actress Helena Modrzejewska (Modjeska), he studied in Vienna from 1884 to 1887 under Theodor Leschetizky, who did much to improve a limited technique. During this period he also taught at the Strasbourg Conservatory. Between 1887 and 1891 he made his first public appearances as a pianist, in Vienna, Paris, London, and New York City. His success with the public was overwhelming; his personality on the concert platform, like that of Liszt, his predecessor among piano virtuosos, generated a mystical devotion. Among his colleagues, however, he was more envied than respected. Chopin (whose works he edited), Bach, Beethoven, and Schumann were the chief composers of his repertory. In 1898 he settled at Riond Bosson near Morges in Switzerland, and the following year he married Helena Gorska, Baroness von Rosen. In 1901 his opera Manru, dealing with life in the Tatra Mountains, was given at Dresden. In 1909 his Symphony in B Minor was given at Boston, and in that same year he became director of the Warsaw Conservatory. 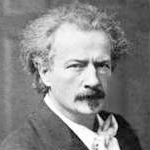 Throughout his life Paderewski was a staunch patriot. In 1910 he presented to the city of Kraków a monument commemorating the 500th anniversary of the victory of the Poles over the Teutonic Order. During World War I he became a member of the Polish National Committee and was appointed its representative to the United States, where he urged Pres. Woodrow Wilson to support the cause of Polish independence. Wilson included Poland’s cause as the 13th of his Fourteen Points of Jan. 8, 1918. After the war the provisional head of state, Józef Piłsudski, asked Paderewski to form in Warsaw a government of experts free from party tendencies. This was formed on Jan. 17, 1919. Paderewski reserved the portfolio of foreign affairs for himself, but his premiership was not a success. As a virtuoso, Paderewski was accustomed to flattery, and he resented sharp criticism. On Nov. 27, 1919, he resigned the premiership and returned to Riond Bosson; his ambitions to become the president of the revived Poland had been shattered. He never revisited the country. In 1921 he resumed his musical career, giving concerts in Europe and the United States, mainly for war victims. At the beginning of World War II, in October 1939, a Polish government-in-exile, formed in Paris with Gen. Władysław Sikorski as prime minister, offered Paderewski the chairmanship of the Polish National Council. After the French capitulation in 1940, he went to the United States. He died soon after and was buried in Arlington National Cemetery. Wincenty Witos (born Jan. 22, 1874, Wierzchosławice, Galicia, Pol., Austria-Hungary—died Oct. 30, 1945, Kraków), Polish statesman and leader of the Peasant Party, who was three times prime minister of Poland (1920–21, 1923, 1926). Witos sat during 1908–14 in the Galician Sejm (Diet) of Austria-Poland and in 1911–18 in the Austrian Reichsrat (lower house of parliament). 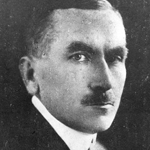 After World War I he was elected to the Sejm of the newly established republic of Poland and soon became the leader of the Peasant Party, then the strongest political group in the Sejm. From July 1920 to September 1921 he served as prime minister of an all-party coalition. In May–December 1923 he headed his second government but was unable to halt inflation and national unrest. Although initially identified with the parties of the left, Witos gradually emerged as a force for conservatism and in May 1926 formed his third administration on an exclusively right-of-centre base. Within a few days, however, his Cabinet was overthrown by a coup led by the national hero Józef Piłsudski. Thereafter, Witos remained in opposition to Piłsudski’s thinly veiled dictatorship. He was imprisoned for political reasons in 1930 and again in 1932 was put under sentence, which was quashed as illegal (1933). Fearing a new arrest, however, he fled to Czechoslovakia. He subsequently returned to Poland but was imprisoned by the Germans in 1939. Arrested by the Russians in 1945, he was freed shortly before his death. Józef Haller von Hallenburg was a Lieutenant General of the Polish Army, a legionary in the Polish Legions, harcmistrz (the highest Scouting instructor rank in Poland), the President of the Polish Scouting and Guiding Association (ZHP), and a political and social activist. He was the cousin of Stanisław Haller. In 1918, in the aftermath of the "Charge at Rarańcza", as commander of the 2nd Polish Auxiliary Corps with the Austrian Army, Haller broke through the Austro-Russian front line to Ukraine, where he united his troops with Polish detachments which had left the Tsarist army. He protested the Treaty of Brest-Litovsk and continued to fight the Russians with his II Brigade of the Polish Legions (later, the 4th and 5th Rifle Divisions of the Polish II Corps). Under the pressure of the Germans, who after the Peace of Brest-Litovsk regarded the presence of Polish troops in Ukraine as illegal, and a fierce battle between Poles and Germans at Kaniów (10 May 1918, 2500 casualties) his corps was interned, while the Brigadier himself managed to escape to Moscow. Subsequently, by the way of Murmansk, he arrived in France in July 1918, where on behalf of the Polish National Committee he created what was known as the Blue Army (from the color of its French uniforms, also known as Haller's Army). For the next few months his army, allied to the Entente, would fight against Germany. In 1919, at the new army's head, he arrived in Poland and was dispatched to the Ukrainian front. In 1920 Haller seized Pomerania and entered Danzig (Gdańsk) in the name of Poland restoration of Poland’s access to the Baltic Sea. During the Polish-Soviet War he commanded an army of volunteers. He was also Inspector General of the Army and a member of the War Council. In 1920-1927 Haller was a deputy to the Sejm. After the election of Gabriel Narutowicz as President of the Republic in December 1922, Haller fell into disfavor. After the 1926 May Coup, he was ordered into retirement. He co-organized an opposition party, the "Front Morges." At the time of the Invasion of Poland (1939), Haller was living abroad. From 1940–1943 he served as Minister of Education in Władysław Sikorski's government. After 1945 he settled in London as an exile and did not take active part in any émigré Polish political activities. General Jozef Haller died on 4 June 1960 at the age of 86. He was buried in the Gunnersbury cemetery. His ashes were returned to Poland on 23 April 1993 and are now kept in a crypt in St. Agnieszka's garrison church in Kraków.